Sergio Massa met with International Monetary Fund (IMF) officials on Monday, after which the 2019 presidential hopeful reiterated his criticisms of the US$57.6-billion stand-by loan which President Mauricio Macri's government signed with the institution back in June. Following a meeting with the IMF’s Roberto Cardarelli and Trevor Alleyne, Massa described the loan deal as "unfair and unsustainable." 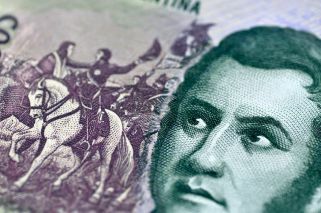 "When a deal is unfair and unsustainable it is not a deal; it's business for speculators and a bad outcome for the people," the dissident Peronist told reporters, following a private meeting with IMF officials in Buenos Aires. He said the loan package meant Argentina was "mortgaging the future of an entire generation”, adding "it does not resolve any problems." The government "should have first sought to reach a wide economic and social consensus in Argentina, with all political, union and social forces" before going to the Fund for a loan, Massa said. "This loan is only good for speculators and for the unlimited electoral ambition of Macri, who has failed and who has called on the IMF to resolve his in incapacity," he charged. 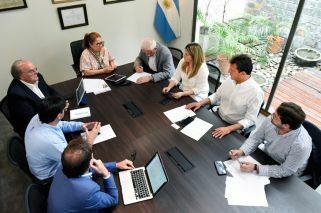 Massa was joined at the meeting by members of his Renewal Front movement, lawmakers Marco Lavagna, Diego Bossio, Graciela Camaño and José Ignacio de Mendiguren; as well as Aldo Pignanelli, Carlos Hourbeigt and Florencia Jalda. Massa’s political ambitions are well known. Since his Renewal Front’s triumphant win over then-president Cristina Fernández de Kirchner’s Victory Front movement in the 2013 mid-term elections, Massa has made a brand out of opposing the Kirchners. However, as a fractured Peronist movement struggled to regain its political capital in times of Macri, many Peronist leaders have begun reconsidering their options, including the possibility of incorporating Kirchnerites into a 2019 unity ticket. In this light, Massa’s Renewal Front recently lost allies to the left including fellow presidential hopeful Felipe Solá and lawmakers Facundo Moyano and Victoria Donda.